AMC announced they are working on a spin-off of the very popular The Walking Dead. The network is working with current producers Gale Ann Hurd and Dave Alpert, along with Walking Dead creator Robert Kirkman. Slated for a 2015 release, the series will develop a new story with a new cast of characters. There’s no word yet on where the series will take place or what the new characters will be like. I find this news to very interesting. One thing I’ve wished for about The Walking Dead is that we would get to see what is going on in the rest of the world. This will give us the chance. However, if this show is more of the same, with just a new group of people, it could get a little boring. Though The Walking Dead is more popular than ever, I feel the quality faltered over the last season. I would rather see the current Walking Dead get back to the top of its game before I get excited about a new series. That being said there could be some exciting prospects in expanding The Walking Dead universe. 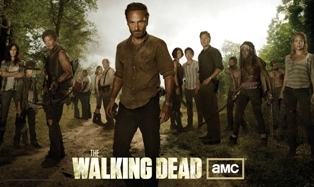 Season 4 of The Walking Dead premieres Sunday October 13 at 9PM (8PM Central) on AMC.